Overnight, a storm has moved in. The talons of Teton Range grip the squall, holding it in place. The clouds shed weight, desperate to be free of the mountains; a heavy snow has been falling all morning and shows no signs of abating. The landscape is largely obscured, indiscriminate. Out of this washed-out emptiness emerges shadow after shadow: a long line of elk, nose to rump, heads bent against the January storm. The animals are healthy and sleek, stepping with an assured grace that comes from six months of browsing the high-elevation meadows found in and around Yellowstone National Park. These lands –– Yellowstone and Grand Teton National Park, along with the surrounding national forests and wildlife refuges in Wyoming, Idaho and Montana –– constitute the Greater Yellowstone Ecosystem, an area heralded as the final mostly intact ecosystem of the temperate northern hemisphere. The largest wild ungulate herds of the contiguous United States roam these lands, and of these herds –– pronghorn, mule deer, and bison amongst them –– none is more renowned than the Jackson Elk Herd. An elk strolls through a wintry Yellowstone National Park. Photo by Ben Goldfarb. Now that winter has arrived in force, the line of elk is seeking refuge in valleys, snaking south through a wide, flat landscape framed by mountains and buttes. The herd is just north of Jackson, Wyoming, and, were the storm to blow through and the air to return to a pristine, frozen-dry clarity, it would be clear that the elk cannot continue south: the town of Jackson sits nested in a bottleneck formed by a finger of the Gros Ventre mountains and a series of buttes unfurling to the west. This bustling community and the sprawling luxury homes that surround it sever a migration route that historically brought elk to the lower elevation Red Desert of southwestern Wyoming. Now the elk are blocked, cut off from shelter by human civilization. Yet despite their entrapment, these elk have little reason to fear the winter settling around them. An engine grinds and snorts to life: muffled yet distinct even in the falling snow, the engine’s growl is a sure sign that, here at the National Elk Refuge, dinner is about to be served. The rumbling engine sites in the hulking, boxy form of a Caterpillar Challenger, a behemoth of an earth-moving machine painted a soiled shade of yellow. Hitched to the rear is a 20-foot tow trailer, heaped high with alfalfa pellets. Once it’s warmed up, the Challenger makes long passes, north to south, south to north, grinding the fresh snow beneath its treaded track. Elk, hundreds of elk, mill about undisturbed. Without any hint of fear, the animals move grudgingly to avoid collisions and seamlessly merge again behind the towering, exhaust-spewing machine as it passes. The elk seem only to see the alfalfa pellets that pour through spouts at the bottom of the towed trailer: six pounds of alfalfa rationed to each animal daily. The Challenger is feeding the elk. The feed is laid out in long rows, side by side, as if the Challenger were planting a field of corn. And, indeed, a crop is being grown here; for in many ways this scene, equal parts ironic and iconic, represents a form of cultivation. The Jackson Elk Herd, which spends half the year pawing at the wildest lands that can be found in the lower 48, are eating alfalfa pellets left in the treaded path of a fourteen-ton Caterpillar Challenger. The Teton Range looms over the land just outside Jackson. And strangers do come, in a steady stream of summer traffic coursing past a small square that marks the heart of Jackson. This square is largely open, save for a smattering of trees and four curiously constructed arches that mark its four corners. 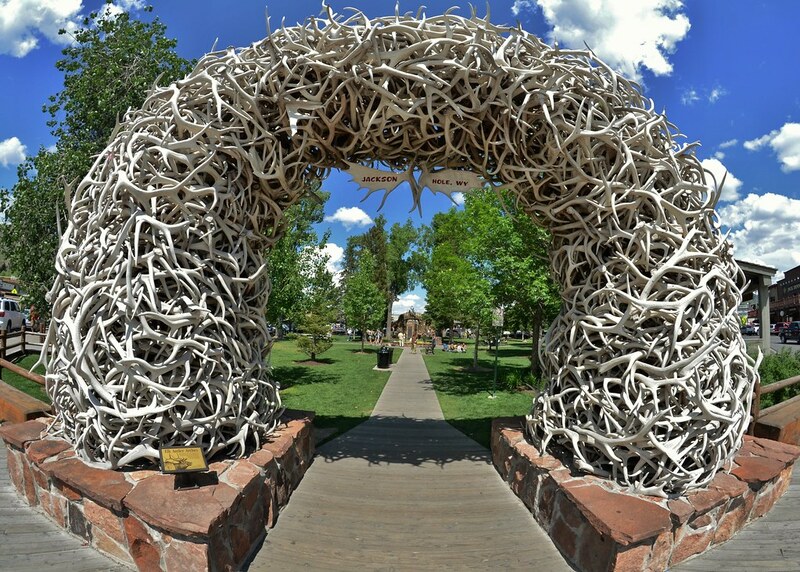 Each arch is ten feet wide, reaches to a height of 13 feet, and is a pointed latticework fashioned out of nearly 2,000 elk antlers. The antler portal into Jackson’s town square. Image courtesy of Flickr user dw_ross. Jackson and its town square are surrounded by North America’s greatest density of wildlife and a geology that defies logic –– the abrupt Tetons rising dissonantly from the planar valley –– yet this seems to be the one picture that folks must have: the smiling family, decked out in ten-gallon hats, framed in an elk-antlered arch. That thousands of elk antlers are so prominently displayed in the town’s center is no accident. More than any other wild animal, elk symbolize Jackson’s old west aura –– unlike grizzlies or wolves that were hunted from the landscape, elk have conspicuously flourished here over the last hundred years. Jackson lends its name to the elk herd, and the elk unwittingly reciprocate, granting the town its wild-west frontier allure. In many ways, the town of Jackson has become synonymous with the National Elk Refuge, the winter home of the elk herd. The Refuge, established in 1912, is a crown jewel in the U.S. Fish and Wildlife Service’s National Wildlife Refuge system. As the National Elk Refuge celebrates its centennial, it annually welcomes nearly 1 million visitors, all of whom pass through Jackson. The town and the Refuge share a common boundary, a boundary as sharply defined as the eight-foot high fence that runs between them, the town to the south and the refuge to the north. Though the fence line runs straight, the human and natural histories of the landscape have long been intertwined. 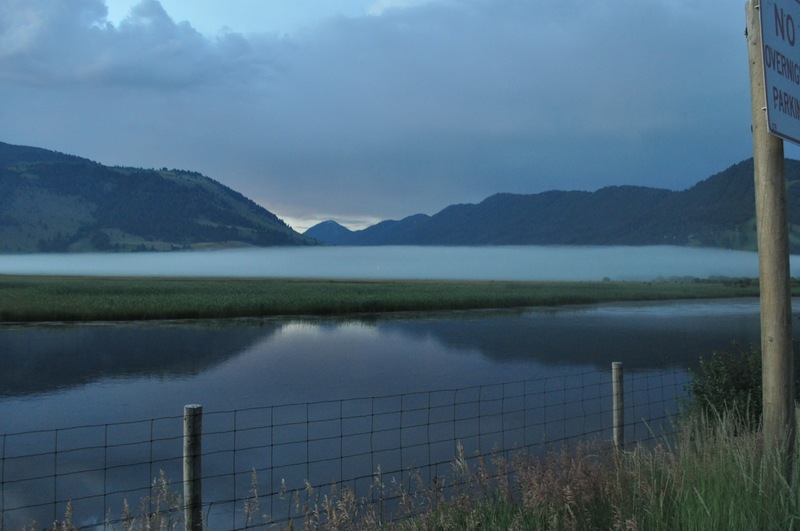 The National Elk Refuge feeds 7,000 elk and annually welcomes one million human visitors. The National Elk Refuge is a product of Jackson’s geography. The wildness of Greater Yellowstone affords elk nearly unlimited summer range, and these animals spread through almost 1 million acres in June, July and August. Come winter, though, piling snow drives the herd down to the finite forage of valley bottoms. 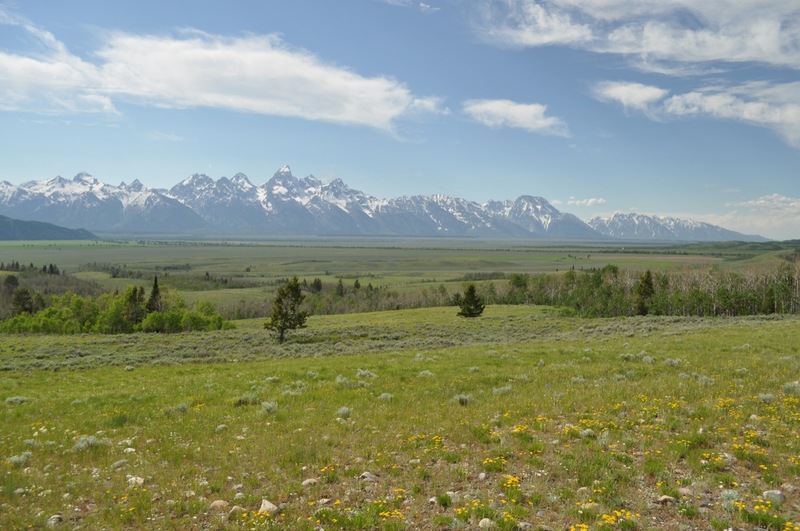 But even these valleys sit at high elevations, and none are perched higher than Jackson Hole. At 6,300 feet, the line between survival and starvation is razor-thin: during the valley’s harsh winters, forage is scarce even in the best conditions. This isolating geography also delayed human settlement of Jackson Hole. But when homesteaders did arrive in the 1890s, the impact on elk was dramatic and immediate. Longtime residents recall stories passed down from those first winters of the 20th Century when, it is said, one could walk a mile on the backs of dead elk without ever once stepping on the ground. Such winter mortality was caused by starvation. What once had been winter forage was being cut by homesteaders, mounded as hay, and fed to livestock. Elk, ever adaptable, soon joined livestock around the mounded hay. 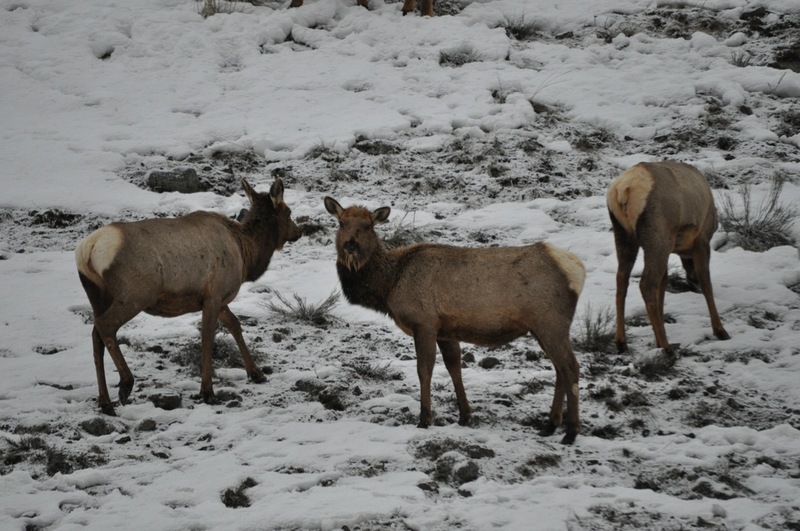 Where cattle had originally preempted elk forage, now elk were commandeering livestock feed. But such pillaging by ravenous elk herds left cattle hungry and created an untenable situation: if ranchers successfully razed elk off feedlines, the elk starved; if the elk joined the livestock on the hay, the ranchers faced economic ruin. As the first decade of the 20th Century drew to a close, residents of the valley sought a solution befitting their ranching heritage: to protect livestock feedlines without condemning elk to starvation, the residents would feed the elk herd. A 1912 Congressional act built upon this local foundation by creating the National Elk Refuge and allocating federal funding to the feeding project. What was reactionary in 1912 has evolved to accepted practice and is now fully embedded in the culture of Jackson. The Refuge feeds around 7,000 elk every winter. But the feeding is not confined by the boundaries of the Refuge, and Wyoming’s Game and Fish Department feeds an additional 13,000 to 15,000 elk annually at 22 other feedgrounds scattered throughout western Wyoming. The state has gotten so skilled at feeding elk that it even lends a hand on the federally managed National Elk Refuge, assuming 50% of the annual cost of the Refuge’s feeding. And in some ways, this acculturated practice has been successful: the winter die-off of elk is dramatically reduced –– die-off averages just over one percent –– and ranchers are assured that harvested hay will fatten livestock. 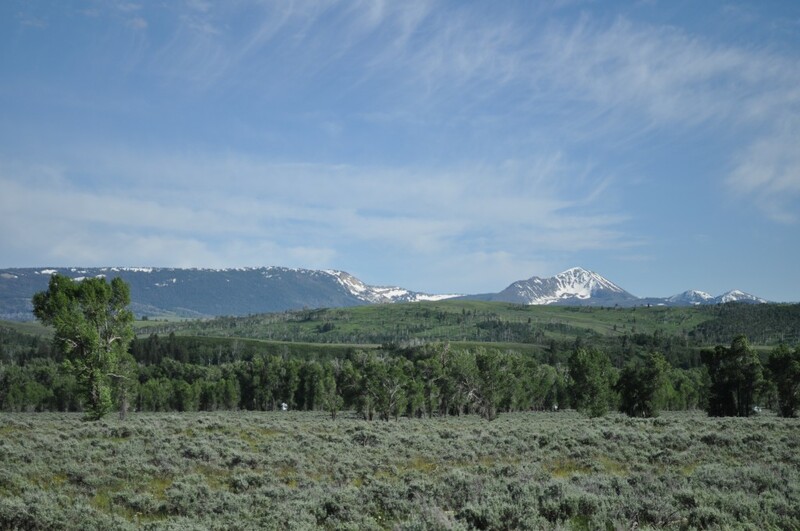 The daunting mountains of the Gros Ventre Wilderness drive elk toward Jackson. But while feeding elk is part of Jackson’s culture, the practice is not universally embraced. Supplemental feeding has released a Pandora’s box of vexing problems. The conservation ethic that permeates the origins of feeding –– the desire to prevent the wild animals from starving –– is now threatening the health and sustainability of the herd. The siren’s call of a free meal congregates elk in large, dense groups on feedgrounds, incubating and rapidly spreading diseases, many of which can be transmitted to livestock. Feeding, by enhancing the reproductive success of elk, also encourages a much larger herd than the landscape can support. Many fear that elk are over-browsing the winter habitat and degrading the Jackson Hole area. In the face of these elk management problems, everyone in western Wyoming seems convinced that a simple solution exists: their own. The conservation-minded crowd is desperate to cease winter feeding to maintain a healthy and wild elk population. Outfitters and hunters insist that feeding is the only reason that a healthy –– and huntable –– herd remains. Most ranchers hold as gospel that feeding is the only way to segregate elk and cattle to prevent the spread of pathogens into livestock herds. And wildlife managers from both the U.S. Fish and Wildlife Service and Wyoming Game and Fish find themselves in the unenviable position of navigating a minefield of entrenched opinion. The dialogue around elk management has fractured under the strain of these competing solutions. Folks rail against bureaucracy: the draconian regulations of federal agencies, many claim, are perpetuating elk problems. Others insist that elk management only became problematic after conservationists and their leftist special interests arrived to use the iconic animal as a tool to invalidate the ranching lifestyle. Many maintain that scientists are creating problems where none truly exist: why, if nothing catastrophic has yet happened, are we so concerned? Still others believe that science is too often ignored, and that the results of research clearly reveal how to resolve the problems. The acrimony embedded in these entrenched opinions has become so polarizing that people can no longer even discuss their differences. The breakdown in dialogue has shifted the debate to the courts, and the future of elk management is now largely being decided by our legal system. Most recently, conservation organizations sued the U.S. Fish and Wildlife Service, arguing that the agency has yet to accurately assess whether the feeding program is threatening the Refuge’s ecological health. Intent on finding people who could help me better understand elk management questions and the competing perspectives of the people involved, I settled into Jackson for two months. I arrived an outsider, a New Englander, and undoubtedly left the same. As one individual warned me, the ranchers and outfitters have all but had it with people talking to them about closing elk feedgrounds. But I found the opposite: nearly everyone was warm, friendly and generous with their time –– and their opinions. I visited the offices of conservationists –– low-ceilinged burrows with walls seemingly reinforced by an overlapping array of habitat requirement maps, and filled with well-worn chairs buried beneath stacks of scientific reports and articles. I sat across coffee tables from fourth and fifth generation Wyoming ranchers with the slow, easy speech of those accustomed to endless landscapes unfurling before them. I walked past mounted trophy fish and game animals to find the back offices of state and federal wildlife managers, their desks little-worn due to the owners’ long hours afield. 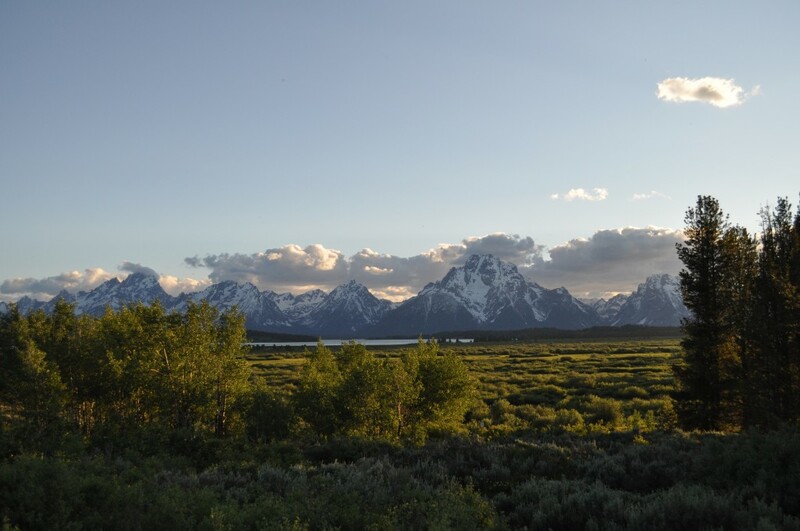 I sat beside windows overlooking the serrated Tetons and listened to tales of the landscape’s history told by outfitters, those whose livelihood depends on knowing the land better than the next guy. To have these conversations, though, I needed to know the landscape. So upon hitting the ground in Jackson, I turned to the land: I needed to see a feedground. As the crow flies, I am a scant eight miles from the National Elk Refuge. I step out of the car, sluggishly stretching and squinting even behind dark sunglasses. The wash of highway air drains from my ears, fading into the openness of the South Park Habitat Management Area. It is warm, the mercury nudging north of 80 degrees, and brilliantly sunny; yet the air is unburdened by moisture and gently stirs on an unfurling breeze. I am comfortable if I stay in the shade: a perfect day so typical of summer in Jackson Hole. Before me stand four open-sided, rectangular sheds, each measuring perhaps 100 feet by 20 feet. The sheds are simple. Twenty-two unfinished logs support a corrugated metal roof held some 20 feet above bare soil. The lodgepole pine logs, limbed and stripped of bark, are weathered to a sterile gray. This is one of the 22 feedgrounds run by the Wyoming Game and Fish Department, and, December through April, approximately 1,000 elk will gather here. Already hay is being stored for the coming winter. 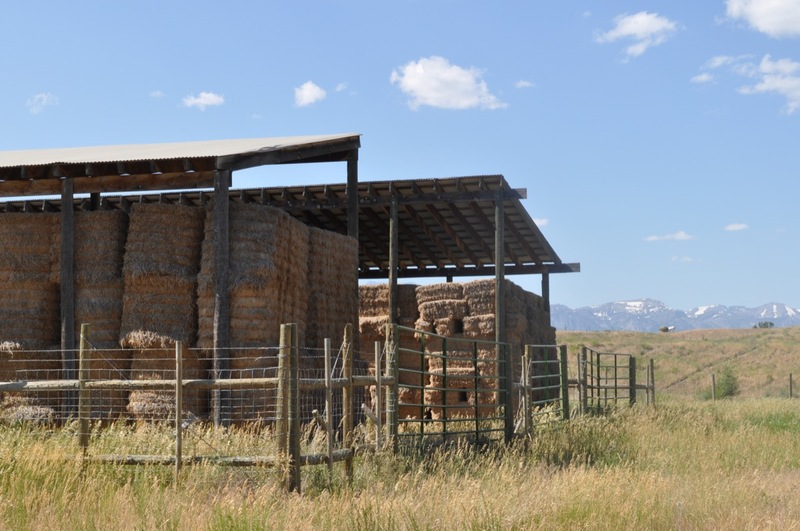 One shed is nearly two-thirds full with large round bales, each weighing in excess of 800 pounds, and two other sheds hold incomplete rows of smaller square bales. The final shed remains empty, awaiting the next harvest. There is no Challenger here. This hay will be spread daily from a horse-drawn sleigh over the winter, an antiquated approach that persists out of respect for the biting cold of a Jackson winter: machinery doesn’t always start at twenty below. Jackson is obscured to the north behind a roll of the land, but, just across a wire fence line, a small herd of cattle grazes lazily upon summer grasses. These sheds appear perfectly situated in an agrarian landscape. The rough-hewn utility of the structures and the veneer of minimalistic maintenance reflect the hard-scrabbled truths of the agricultural lifestyle –– time is always too short and money stretched too thin. But if you stand with your back to the sheds and look southwest, the landscape is vibrating with the natural rhythms of the wild. Though there hasn’t been any rain in nearly a month, the land seems brushed in emeralds. A streamside mosaic of grasses and sedges flourish; a cold, wet spring has yielded a strong and lasting snowmelt runoff. Flat Creek, a stone’s throw from where I stand, is running full yet finally showing signs of settling into the pellucid riffle-and-run rhythm that shelters one of the few remaining populations of Snake River cutthroat trout. This is the landscape in which the elk are fed. Although no elk are present here on this summer afternoon, the simple wire fence is an inconsequential division. Elk move at will over these lands and can graze ranched grasses as readily as wild forage. Elk and livestock are side-by-side on this simple landscape of South Park. And therein lies the many issues facing elk management in western Wyoming. When an inconsequential wire fence is all that separates wild and cultivated animals, elk management conversations will invariably turn to the transmission of disease from wildlife to livestock. And while brucellosis has long been the disease of primary concern, a new, potentially more frightening threat is edging into conversations: chronic wasting disease. Brucellosis is a livestock disease that was accidentally introduced into wildlife populations over 100 years ago. The disease has been all but eradicated nationally, with the sole remaining reservoir being Greater Yellowstone’s elk and bison herds. Congregated wildlife experience spikes in infection rates, and feeding practices that concentrate elk during the winter are exacerbating the situation: while brucellosis infects only 1 to 2% of free-ranging elk populations in the Greater Yellowstone, the disease prevalence can jump to nearly 30% on feedgrounds. In livestock and wildlife alike, infected females abort their first pregnancy following exposure to brucellosis. Due to federal regulations still bent on fully eradicating the disease, when elk re-transmit brucellosis back to livestock, ranchers essentially must slaughter infected livestock herds, destroying prized cattle breeding lines decades in the making. Though brucellosis is a serious problem, the impacts of chronic wasting disease may be truly devastating if the worst predictions come to fruition. While infection rates are low rate in free-ranging elk, many fear that chronic wasting disease might spread to 60% or more of individuals in dense feedground congregations, with frightening implications. The disease is fatal because its infecting agent, a protein molecule called a prion, eats through brain tissue. Most frightening, the infecting agent needs no host to survive: the disease can persist in the soil for decades. Chronic wasting disease was first found in wild elk populations in the 1980s and is spreading inexorably west across Wyoming. Now that it has been found within 50 miles of the National Elk Refuge, the fear is that if –– or perhaps more realistically, when –– chronic wasting disease arrives on the Refuge, it will decimate the Jackson Elk Herd, leaving the Refuge contaminated and empty. Would the visitors that drive the Jackson economy continue to come if the valley was barren, devoid of wildlife? The disease problem, though, is only the first layer in conversations about elk management. Residents and visitors alike have come to expect a large, healthy, and active elk herd on the Refuge come December. Many in Jackson believe that a dead elk, any dead elk, means that the wildlife managers have made a mistake. Though feeding allows more elk to survive, not all people agree that an artificially large herd is desirable. Many worry that the National Elk Refuge is now ecologically imperiled because intensified browsing is overtaxing native species, particularly the streamside cottonwoods and aspens. Inherent in this concern over the ecological health of the Refuge is a question: how large should the elk population be? The Wyoming Game and Fish Department weighs this question in establishing population objectives to guide elk management. Many believe that management is purely a matter of hitting these targets. Although the Jackson Herd population objective is set at 11,000 elk, the current population of 14,000 to 15,000 animals far exceeds that goal. And though hunting is the primary tool used to adjust the number of elk, Jackson’s matrix of multi-million dollar housing developments ––many with anti-hunting covenants –– makes maintaining hunting access difficult. Many feel that the constrained hunting situation thwarts effective management. As I heard about an array of problems with elk management –– disease, die-off, habitat degradation, population objectives, hunting access, and so on –– I began to observe a similarity beneath the diversity of issues: the “problems” were almost uniformly focused on aspects of elk biology or ecology. But the more I listened, the more certain I became: the problem isn’t really about the elk. Collectively, the described problems are expressions of an underlying human conflict over how the landscape should be used. And perhaps even more problematic, who gets to decide? These two questions –– how should we use the landscape and who calls the shots –– are the root of the elk management problem in western Wyoming. This undercurrent of human decision-making and conflict made my conversations, so colored by entrenched ideology and an eagerness to pile blame on others, exhausting. I heard competing claims repeated, and repeated again, a cycling pattern upon which the conversation has clearly ground to a halt. Should the landscape’s wildness be preserved undiminished without trace of human hand?Should the region be the exclusive domain of a rugged frontier hunting culture? Or should the wilderness be tamed to the utilitarian order of agricultural heritage? 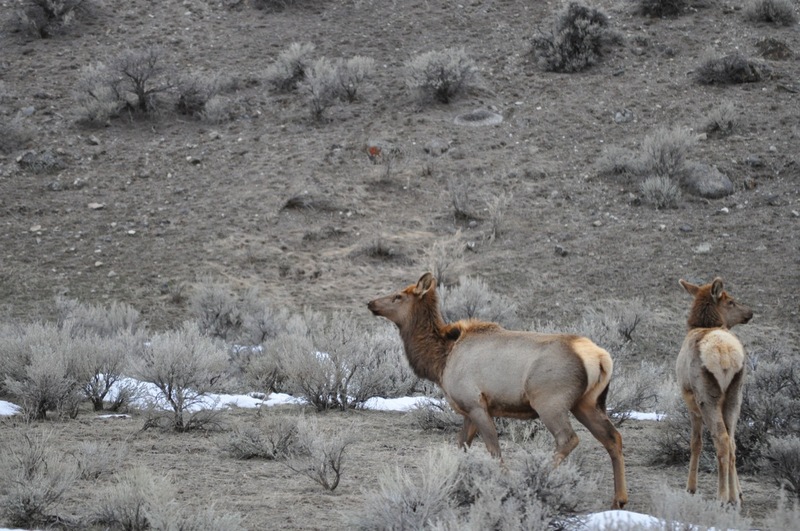 Should the elk be fed or should the wild animals roam free and unaided by humans? Still, as draining as these conversations could be, I was buoyed to find a common human thread in almost every instance. Despite the animosity and ingrained opinions, I found a nearly universal emotional bond to elk in those who call Jackson home: the local population loves elk and cares very deeply about the future of the herd. The dichotomy of the situation –– a communal love for an iconic animal, yet contrasting and competing perspectives on how each person values the landscape –– is perplexing. On one hand the polarizing perspectives are demoralizing and suggest that the dispute is irresolvable. But in the universal connection to the land and the animals that populate it, I see a ray of hope: is it possible to lean on this common emotion to gain traction on intractable conservation problems? My summer of conversations did not culminate in a single epiphanic moment, but as I gathered ever more perspectives on Wyoming’s management of wild elk, I noticed a subtle shift in how I thought about conservation. This shift had rather mundane origins: the breakfast table and a bowl of oatmeal. In the last weeks of June, as I was settling into Jackson, I would begin my morning gazing mindlessly out a window over a bowl of oatmeal. A small birdfeeder hung in the eave of the house and, each morning, I watched a western tanager perch upon the feeder as Jackson’s thin air warmed to the morning sun. The western tanager is of medium size and resembles an American goldfinch through most of its plumage –– vividly yellow with black wings and a jet-black tail. What distinguishes the western tanager, though, is that its head is breathtakingly red, a red utterly unnatural in its brilliance. Each morning for two weeks, I watched a tanager alight and feed. The house’s owner made sure the birdfeeder was continually filled, a conscious decision that I gave no thought to at the time. But as the summer passed, I found myself thinking back to those tanagers, and I gradually realized that perhaps the feeding of Jackson’s elk is not so shockingly extraordinary after all. We’ve all witnessed the artificial cultivation of the wild at backyard birdfeeders throughout America. The dramatic landscape of Willow Flats, an area frequented by the Jackson Elk Herd. Despite our familiarity with the cultivation of birdfeeders, the elk’s cultivation feels different. And the inherent incongruence in this practice –– the feeding of pelletized alfalfa to supremely wild elk inhabiting one of the world’s most sublime landscapes –– poses the question: don’t we all cultivate the wild,or at least the image of wildness? The supplemental feeding program, though it has been around so long that few seem to remember the origins, is the manifestation of a particular vision for a human relationship to the natural world: preserving a wildlife herd symbolic of the landscape’s essence without disrupting the economic and cultural qualities of a growing frontier community. Perhaps, then, management of Jackson’s elk is a microcosm of conservation writ large. Conservation, at its core, is a question of human decision-making: should we utilize the world’s natural resources for our benefit, or should we leave resources untainted by human hand? This centrality of human decision-making is often missing from conservation efforts. Conservation need not bear the imprimatur of a leading academic institution or government agency, nor is conservation reliant on elaborate priority area maps or mathematically modeled population viability assessments. Conservation is not distinguished scientific experts analyzing ecological research to identify the one correct course of action. Rather, conservation is a community creating a collective vision to govern human interactions with a landscape. Conservation is not about managing elk –– it is about managing people. Yet, simply asserting that elk management is a problem of human decisions is not to suggest that it has an easy solution. 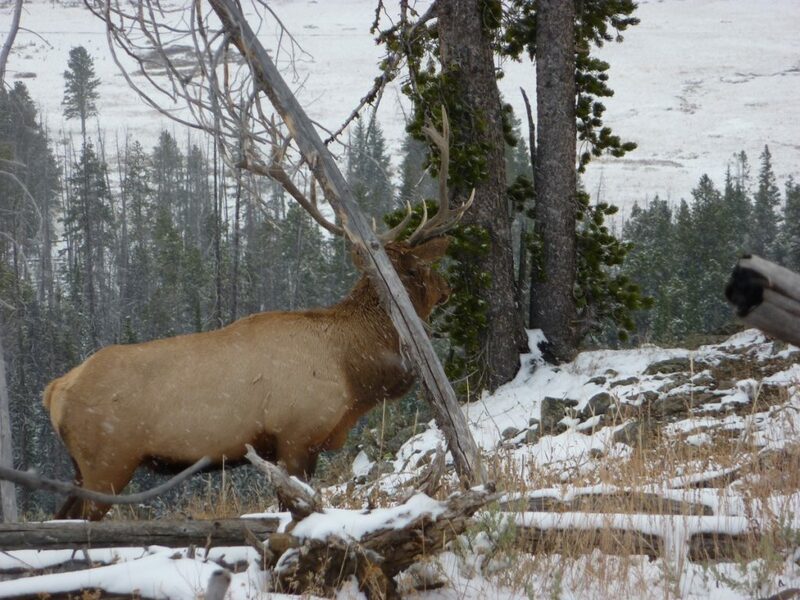 Elk management is complex, and the biological challenges are real and difficult. Refocusing on the process through which human decisions are made does not suddenly make these biological problems disappear –– it simply suggests an alternate path, one focused on ourselves. Managing people is not about prohibiting or ostracizing activities like hunting or ranching that may differ from a traditional conservation perspective. Rather, the alternate path that opens the potential for a new future of conservation turns on a question: can we recognize that people do have different perspectives, and, as importantly, that it is fine to have these differences? If these questions are to be answered in the affirmative, we must strive to improve the way we interact as communities. An alternate path of conservation focuses on a process in which participants co-create decisions that reflect the valid demands, expectations and values of the entire community. We, as conservationists and citizens, must foster civil arenas for dialogue in which all participants can voice a perspective, engaging as humans, as neighbors, and not as ideological mouthpieces. Successful conservation turns on our ability to recognize one another as individuals with valid identities, perspectives, and concerns. Respectful relationships forged across differences establish the foundation of a community’s problem-solving capacity, and once built, open the possibility for productive conversations about real biological and ecological challenges, like disease and habitat degradation. In two months in Jackson I spoke with people across all perspectives, but I continually heard a common theme: elk belong on the landscape. As one rancher unabashedly told me, “Part of the reason I’m in this business is so that I can be out as the sun comes up, watching elk move across the land.” Common ground exists, as elk are iconic animals to all who live in Jackson –– rancher, hunter and environmentalist alike. The dialogue surrounding the future of the Jackson Elk Herd remains a cacophony of immobile, entrenched differences –– that the herd’s health depends on ceasing the feeding, that elk must be fed to be healthy, that feeding is the only way to prevent disease transmission to livestock. And as long as our management focus is on elk and not people, contention will persist in western Wyoming. Yet in this mess lies hope: if conservation is simply about human decisions, we can strive to improve the way we make decisions by focusing on human interactions. Managing people brings the underlying decision-based conflict –– how we use the resources and who get to decide –– into focus, and allows us to address the fundamental conflict that makes conservation work so exhaustingly reactive and incremental. What matters is not what is decided, but rather how we pursue decisions: can we ease and then reverse polarization and ideological entrenchment to create a durable future for our natural and cultural resources? The sky hangs draped over the Tetons, the peaks obscured in dense clouds. Spring has been slow to come to Jackson’s high mountain valley, and we’ve packed warm layers even though it’s June. Still, the day is meant for hiking: the cool air is just short of raw and once we start moving I am comfortable in shorts and a thermal top. We left the car where a gate barred the road and are walking north on the graveled road toward Two Ocean Lake in Grand Teton National Park. We’ve driven the 40 miles north from town to look for elk –– and grizzly, if the precise six-inch wide tracks on the road’s margin are as fresh as they appear. The elk have long since moved off the Refuge, but they’re still lingering at the lower elevations; the newborn calves, born in late May, are not yet ready to follow the greening forage to higher ground. We stop and glass a small group of elk a half-mile west of the road, feeding contentedly on meadow grass, tucked close to the sheltering security of an aspen stand. Though the animals are languidly browsing uphill of us, they are clearly alert to our presence. As I study the refracted images of elk moving with a soft elegance through the glass of the binoculars, it occurs to me that the graveled road upon which we stand may be closed today, but tomorrow it will be open. A turned key and swinging gate are the result of human decisions, of which elk have had neither input nor warning. The animals on the landscape do not –– cannot –– logically know of or follow this decision-making, but they must feel the truth that human decisions shape their future. This small band of elk will retreat to higher, wilder land tomorrow as the once-gated road yields to vehicles ferrying hikers and fishermen to and fro. In the elegance of the elk I have come to see conservation as simply a series of human decisions about the use of natural resources. Conservation, then, must focus not on managing elk but rather on managing people. Acrimony will pervade conservation projects unless we can reshape our human interactions to build a foundation of respect on the recognition and acceptance of the diverse perspectives that we all hold. The more tangible issues that dominate conservation conversations –– problems like disease, die-off, habitat degradation, and population objectives –– can be hammered out upon this foundation as we pursue collective agreements that reflect the common interests of the community. Perhaps hulking Caterpillar Challengers will continue to dole out a daily ration of alfalfa, or perhaps the elk will be left unaided to make what they can from the vagaries of the world. But this question is of secondary concern. If conservation is to succeed in a world of increasingly polarized worldviews, we must think explicitly about how we create our decisions. Managing people is currently outside the purview of conservation, but the elk of Jackson tell us that focusing our attention merely on elk –– or any other wildlife species –– won’t bring conservation successes. All photos by Jon Peterson unless otherwise noted. Jonathan Peterson is a recent graduate of the Yale School of Forestry and Environmental Studies, where he was a Doris Duke Conservation Fellow. His professional focus lies in landscape-scale conservation, and he is currently exploring opportunities to facilitate respectful dialogue across differences in support of conservation. It is his hope that this work will continue to carry him throughout North America on the two wheels of his bicycle, the glide of his skis, or the pace of his own two feet.